KleenGuard Personal Protective Equipment (PPE) enables rather than inhibits – allowing for maximum productivity and safety for you and your employees. 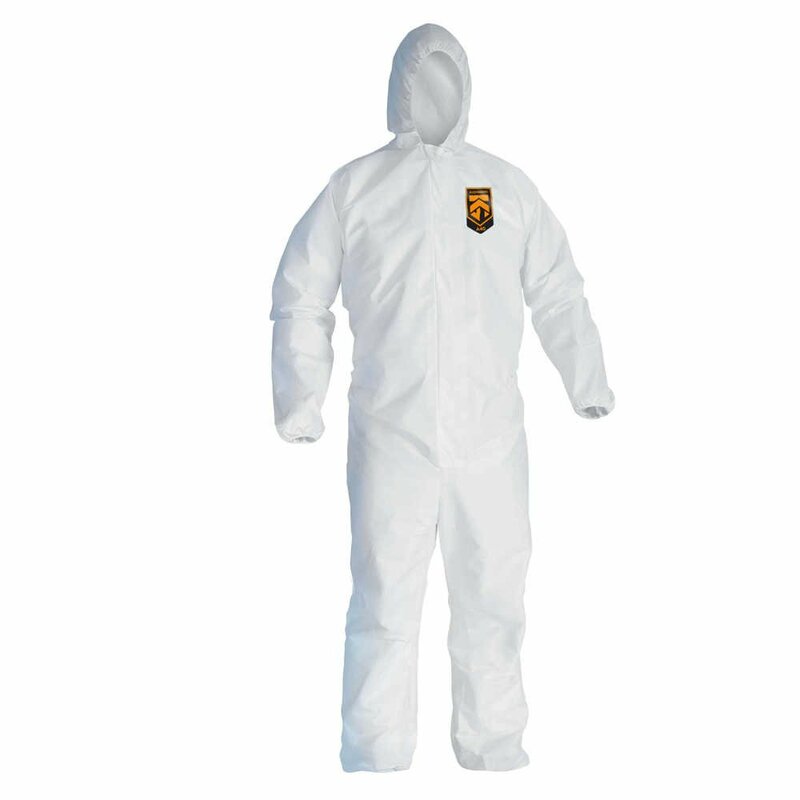 Style: Hooded - Zipper front, Elastic wrists & ankles Features: - Packaged specifically for insertion into vending machines - Liquid and particulate barrier - Passes NFPA 99 criteria for antistatic materials - Passes ASTM F1670 testing for penetration of blood and body fluids - Low in lint - ANSI/ISEA 101-1996 sizing standard - Other styles also available with a full breathable back for air ventilation and comfort TYPICAL USES: Ideal for use when workers are in contact with hazardous particles or liquids such as: Fiberglass manufacturing; Tank cleaning; Utilities; Liquid handling; Pressure washing; Maintenance; General Manufacturing; Mold remediation; Agriculture; Lead abatement & Sewage workers. Making the right Personal Protection choice is difficult. Perform with distinction with KleenGuard Personal Protective Equipment (PPE).